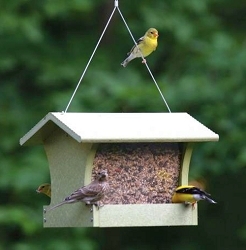 This Eco-Friendly Bird Feeding Station has it ALL! 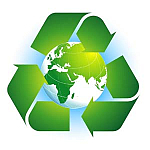 Birds Choice Poly products are made from recycled material like #2 milk jugs. 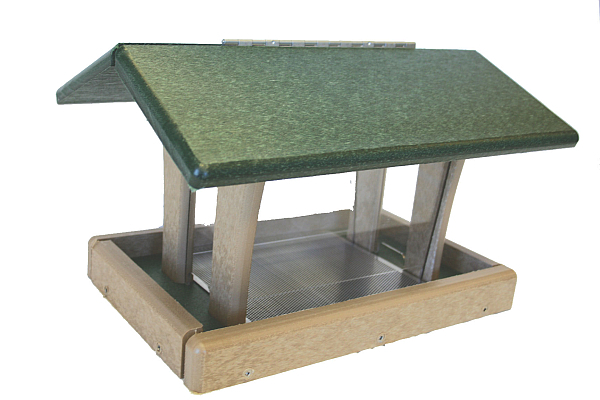 The plastic (polyethylene) is ground and reformed, cut, routed, and reassembled into bird feeding equipment that is easy to clean, guaranteed not to split, crack or fade. 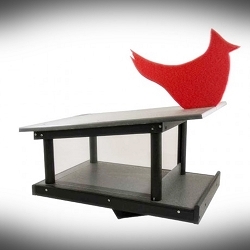 Approximately 70 milk jugs were used to manufacture this feeder and seed catcher. 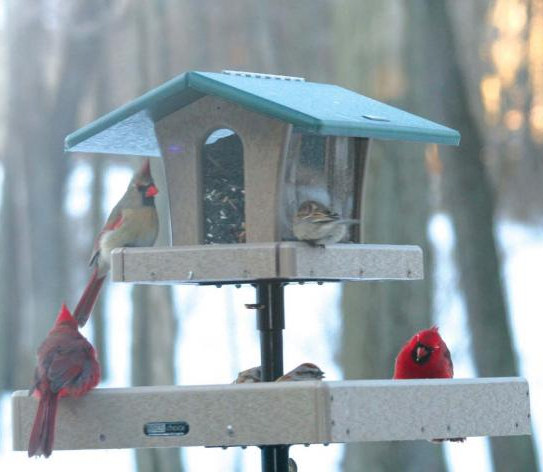 Recycled plastic feeders will last a lifetime! The Ultimate Bird Feeder System has it all, includes Hopper Feeder, Seed Catcher and 60" Pole with Mounting Flanges and Squirrel Baffle! 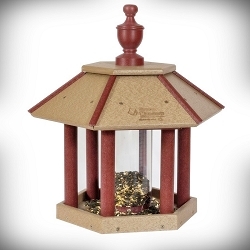 The SN4-200S bird feeder is a recycled 3 quart, 4 sided hopper feeder. This hopper style feeder has poly-lumber taupe base, your choice of green or brown roof (select at checkout), removable seed tray and 4 acrylic panels. 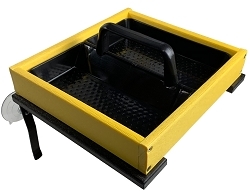 The SNSC-300 is a recycled seed catcher with two removable screens. 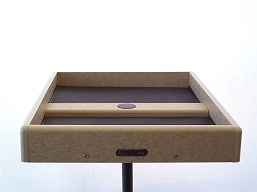 Seed Catcher has poly-lumber taupe sides, removable seed trays. 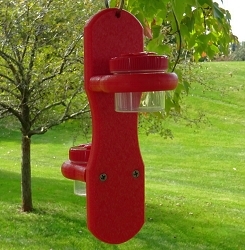 Hopper Feeder and Seed Catcher uses 5/8" poly-lumber made from recycled plastic jugs. Lifetime guarantee to never crack split or fade. All screwed construction using stainless steel screws and fully routed edges. 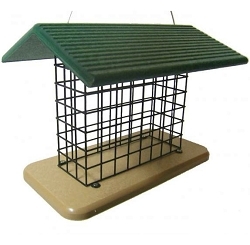 The Complete Pole System contains all the good quality parts needed to mount a bird feeder and seed catcher platform along with the squirrel baffle. This is a heavy duty 60" pole system with 2 Mounting Flanges, In-Ground Twister Auger for easy installation, and Cylinder Squirrel Pole Baffle. 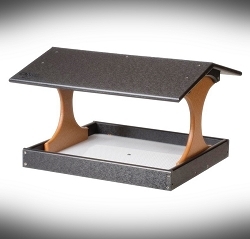 All system components are proudly made in the USA! 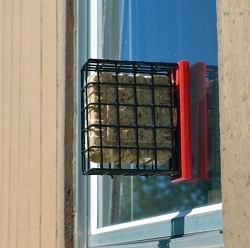 Birds Choice Recycled Pole Mount Seed Catcher Platform 21-1/2" x 21-1/2"